Mr. Trump’s recent visit to Mexico was immediately followed by the harsh speech on immigration he made in Phoenix. 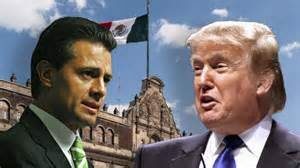 The two political events have generated a wave of resentment in Mexico, the Mexican public views the visit as a humiliation. A recent poll revealed that 85% of Mexicans considered the invitation and visit to be a mistake, a very bad idea. As a consequence, Mexico’s finance minister, an economist educated at MIT, has quit the government. The Mexican president’s decision to host Trump backfired badly, creating a major political problem for his administration. If the purpose of the Trump trip was to display the candidate’s savvy diplomatic skills during a visit to a foreign country, it flopped badly. The U.S. economy is expected grow at an annual rate of 1.5% for the year 2016, Mexico’s economy is projected to grow at a 2.1% rate. Mexico, a struggling democracy, is the world’s 15th largest economy. Despite the large volume of criticism Mexico has received during this election cycle, it remains the home of the largest U.S. expatriate community in the world. Over one million U.S. citizens reside in the country. In the corruption rating index, Denmark ranks number 1 (least corrupt), the United States ranks 16th and Mexico, with its serious corruption problem, is in 95th place. Mexico, however, does better than Russia which appears to be slipping back to its old autocratic, czarist origins. Russia ranks in 119th place. The Mexican government is slowly coming to terms with the need to control the corruption that may be reducing the country’s GDP by as much as 10%. According to a recent report, about 27 % of the Mexican population was a victim of corruption in 2014. Mexico’s high crime rate remains a vexing national problem. Despite some progress in implementing policing reforms, about 75% of murders in the country still go unsolved. According to a poll taken in 2015, 57% of Mexican respondents said they or a relative had been a victim of crime in the past year. Arizona’s exporters shipped $10.6 billion in merchandise exports to world markets during the first half of 2016. 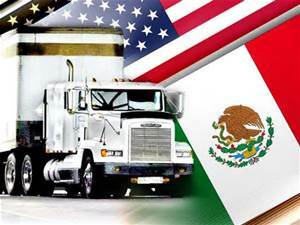 Mexico was the largest destination, accounting for $4.1 billion of Arizona’s shipments. 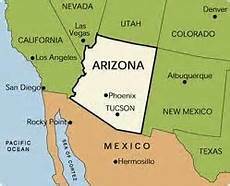 Through June 2016, Arizona ranked fifth among the states exporting to Mexico, behind Texas ($46.0 billion), California ($12.1 billion), Michigan ($5.9 billion), and Illinois ($4.7 billion). Last year, Arizona’s exports to Mexico reached $9.1 billion. Given this year’s slower pace, it is becoming highly unlikely that Arizona’s total for 2016 will reach the level set in 2015. The total undocumented immigrant population in the U.S. stood at 12.2 million in 2007. It has since declined to around 10.9 million, the lowest level since 2003. About 6 million of the remaining 10.9 million undocumented immigrants are of Mexican origin. Analysts say the decrease is mostly due to Mexican nationals returning home. A number of factors have contributed to the decline, the recession diminished the attractiveness of the American job market. The population dynamics of Mexico are changing, the birth rate has been falling since the 1970s. 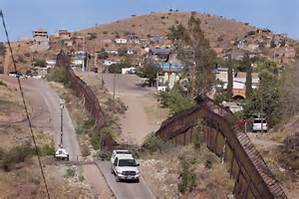 Mexico’s economy has been improving and border security has significantly been tightened. Beginning last year, the Department of Homeland Security has focused its enforcement efforts on illegal migrants convicted of a crime, terrorism threats and recent illegal border crossers. During the fiscal year (FY) ended September 30, 2015, there were 331,333 apprehensions made along the U.S.-Mexico border, a decline of 18% from the previous year. Of that total, 186,017 were Mexican nationals. If all U.S borders are included in the FY 2015 total, the number of Mexican nationals apprehended stands at 188,122. During FY 2015, the U.S. government deported 235,413 people. They were mostly from Mexico, Guatemala, Honduras and El Salvador, 59% of the deportees had criminal records. Many Mexican businesses lack access to financing because Mexico is seriously underbanked. Less than 7% of the four million small businesses that account for 95% of Mexico’s firms had access to bank credit in 2013. Mexico’s central bank has reported that less than 30% of firms with fewer than 100 employees had access to bank credit. Mexico’s average is low by regional standards, the average for all of Latin America is around 45%. Another nagging economic problem is the large difference in the rate of development in northern and southern Mexico. Southern Mexico’s primary economic activity is agriculture. It is also home to nine of the country’s 10 states suffering from extreme poverty levels. Thank you for this information. I have often wondered if the border problems we have with undocumented immigration of Mexicans into this country might be helped by decriminalizing drugs and working with them diplomatically on improving those conditions that lead to their leaving their homes.